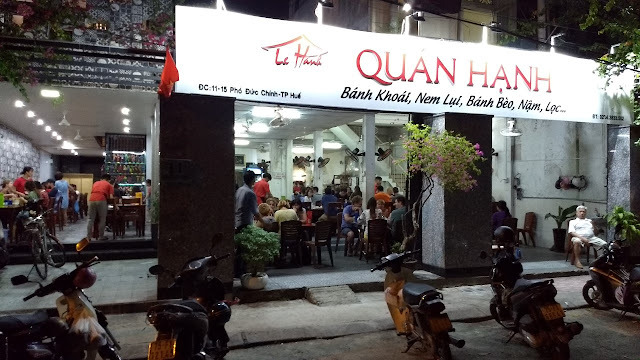 We had a bit of trouble discovering places to eat in Hue, so it was fortunate that we found a restaurant nearby that we really liked. 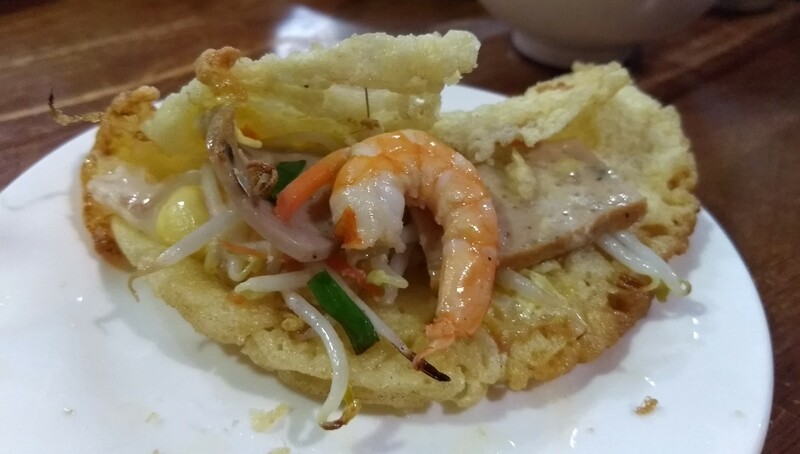 Inside each package is a luxuriously soft rice cake with shrimp and pork. 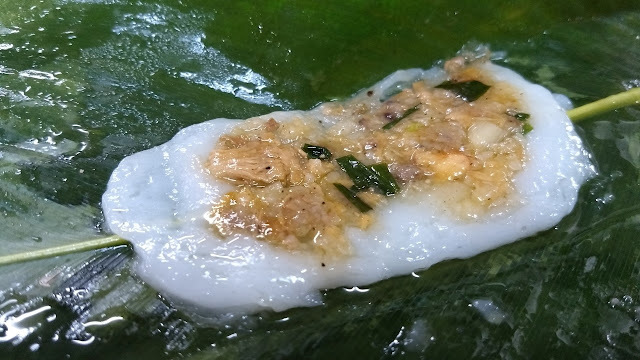 The texture is completely different than other types of rice cakes we've had and we really enjoyed it. 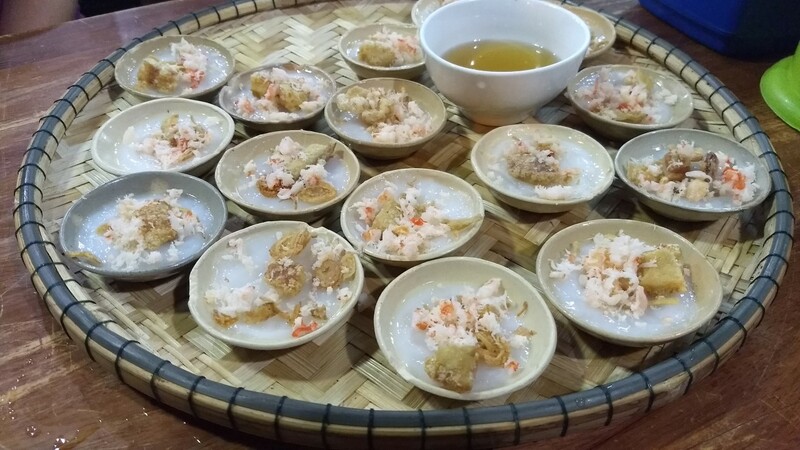 We also got to try Bánh Khoai - Hue's local version of bánh xèo. 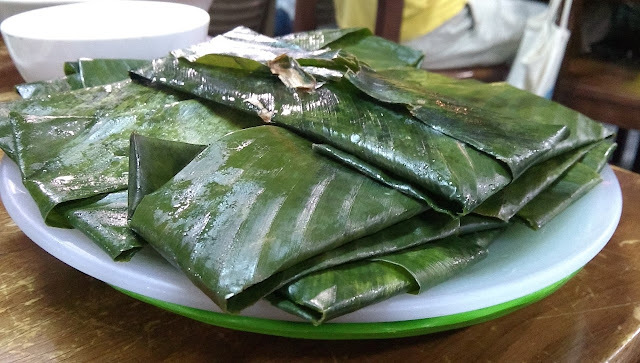 Bánh khoai is puffier and you break off pieces to eat directly with greens and herbs, rather than rolling it in a rice wrap. 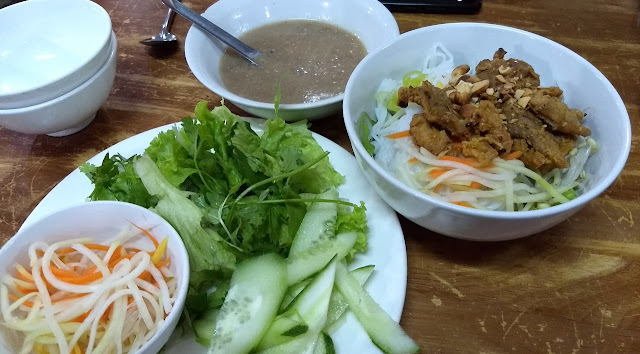 We also had a couple of less-specifically local, but still tasty dishes. 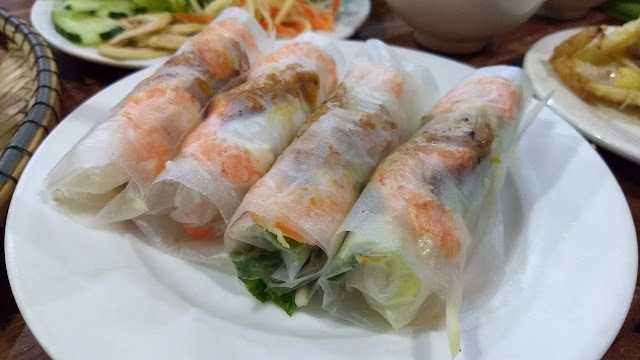 Bún Thịt Nướng (pork with rice vermicelli) and Gỏi Cuốn (shrimp and pork summer rolls). 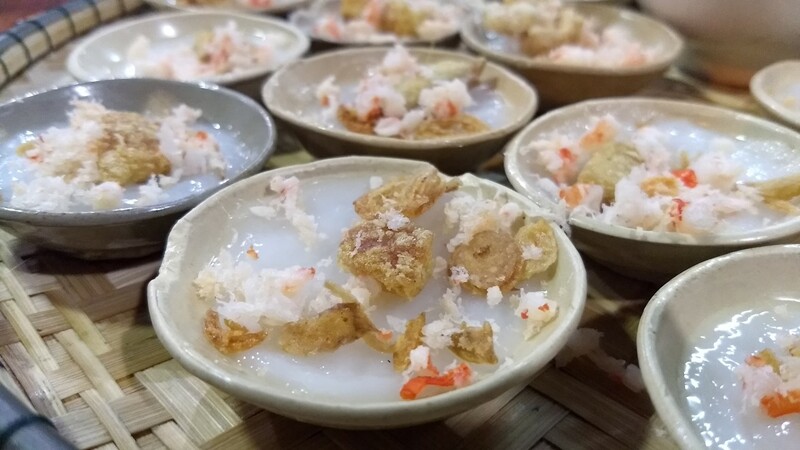 We enjoyed everything we tried at Quán Hạnh, but the clear standouts were the Bánh Bèo and Bánh Nậm.